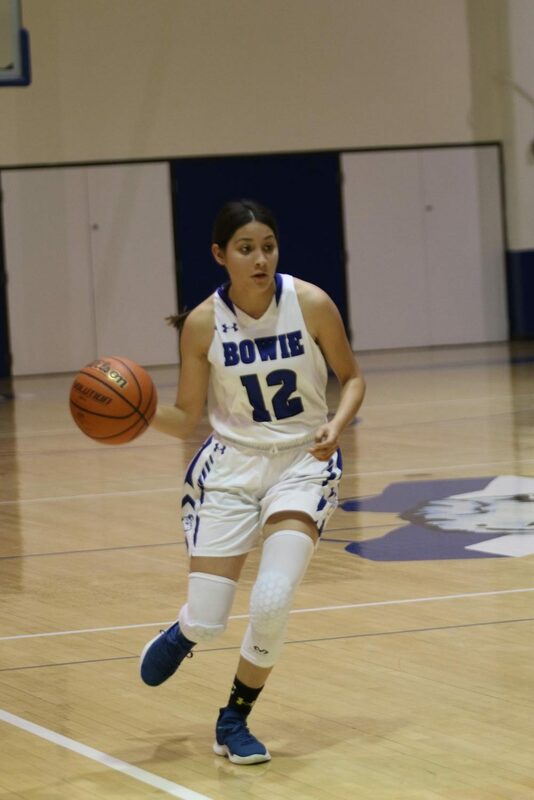 With the Bowie girls’ basketball season coming to its last few weeks, the team has a little more work to do, as they currently sit in seventh place in district with a record of 4-8, 2.5 games out of the last playoff spot with four games remaining in the season. 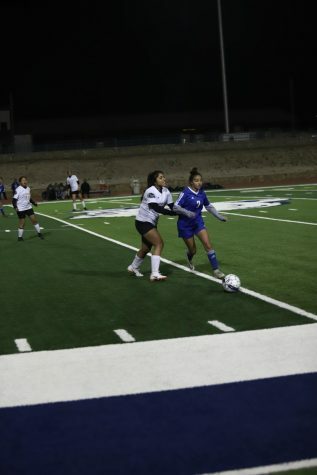 “This season has been at times a bit of a rough one, we’ve gone through a lot of obstacles, but overall the girls have been playing hard, we have been fighting to keep pace for that third or fourth playoff spot, and so it’s just a constant battle every single night,” head coach Mary Martin said. 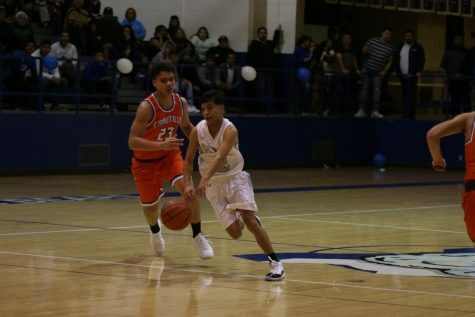 The season has been full of ups and down, as they started district play with a record of 2-4 but have slowly been able to keep themselves within reach of many games, with four of their last six losses coming by 10 or less points. 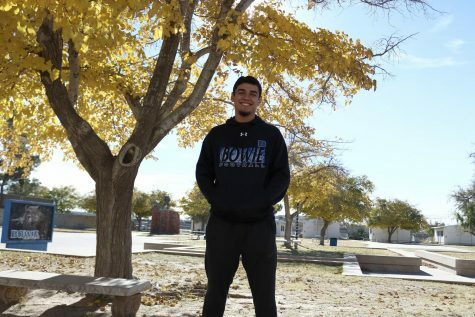 “As a team being mostly made out of seniors, we have come to a realization that this is our last ride. We are mentally prepared as well as physically prepared to be competitive. 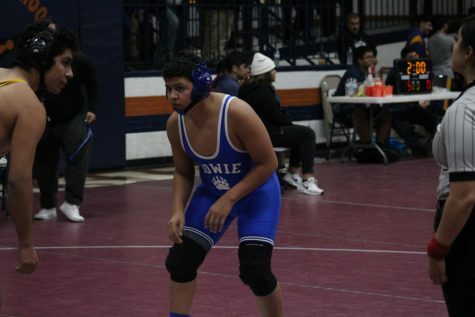 Everybody has been committed and has been working hard to earn those wins,” center Leslie Soto said. 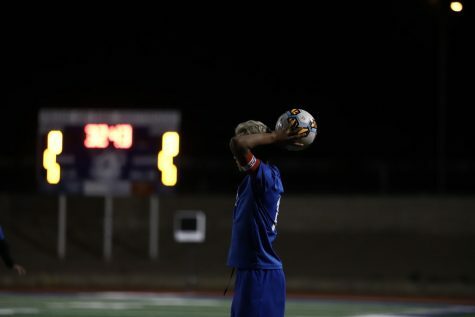 Coming off a win last Tuesday against Austin High School, the team is only looking forward into keeping themselves in playoff contention. “Going into these last few games I think we all feel a lot more confident and we have more heart and pride to finish the season and hopefully make playoffs,” point guard Sydney Rodriguez said. 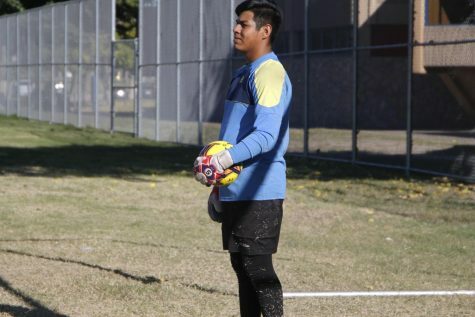 The team’s shaky start to the season is in the past, and the teams focus is just on getting better each and every game, with postseason implications on the line each and every week. 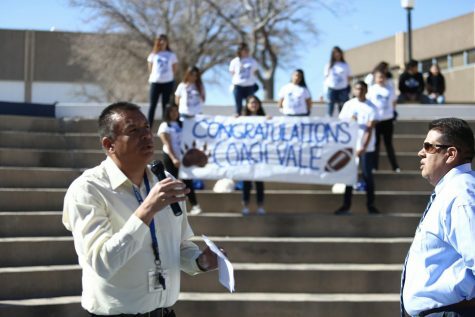 “Finishing up the season will be emotional, I know I have a good group and they have working hard all year so the only thing we have to do is finish the season with our heads up high and hopefully we can get the fourth playoff spot,” coach Martin said. 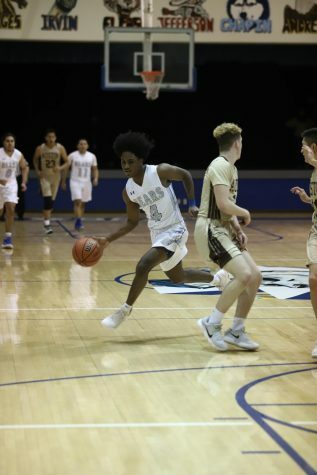 The team finishes up the season with a home game against Andress, followed by Jefferson on the road, El Paso Jan. 25 for senior night and at Chapin. 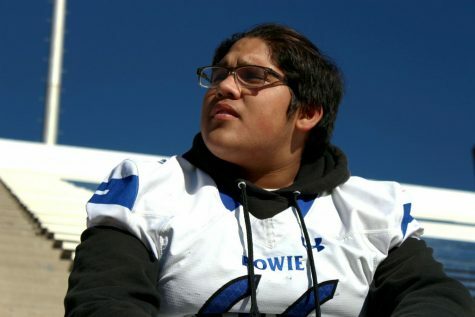 The last three teams are the three that are directly ahead of Bowie for the last playoff spot.